Loads of us take a multivitamin daily or make sure to have a glass of orange juice with breakfast, but did you know that Vitamin C is great for skin from the outside too! Want to add this powerhouse antioxidant to your skincare routine – here are some of our favourites. 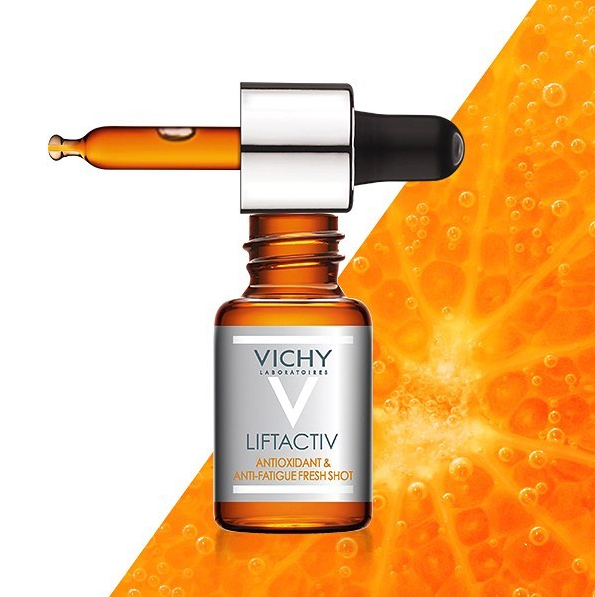 New from Vichy, this Brightening Skin Corrector has 15% pure Vitamin C, Vitamin E and fragmented Hyaluronic Acid. Can be used as a 10 day treatment for whenever you wanted rested and brighter skin. 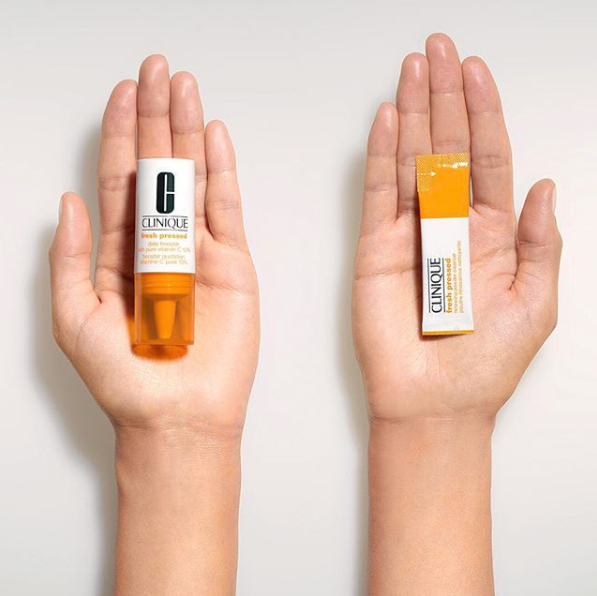 The Clinique Fresh Pressed Booster contains 10% Pure Vitamin C and is designed as a daily supplement for your skin – simply mix 2 drops into your moisturiser AM and PM. Clinique Fresh Pressed Renewing Powder Cleanser is an ultrafine powder that activates when mixed with water for an exhilarating cleansing experience. Great if your skin is looking dull. Fine exfoliating particles and crushed garnet stones, remove dead skin cells to reveal brighter, more radiant skin.